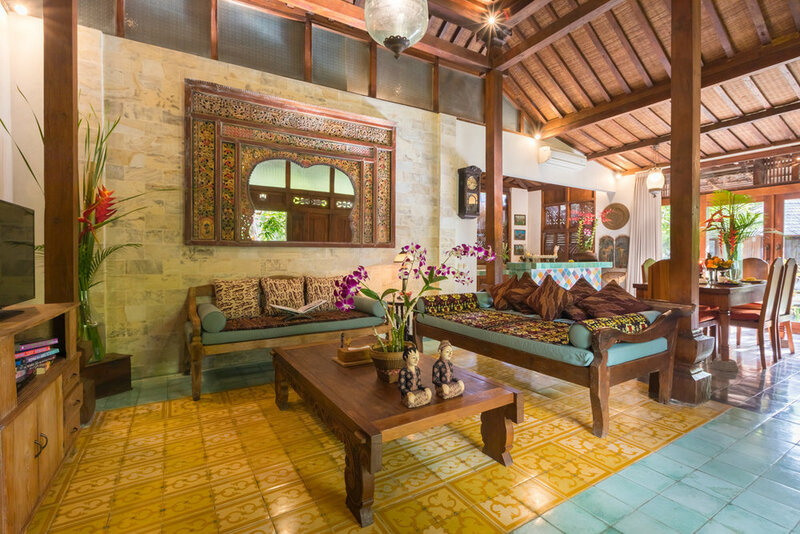 Villa Kudus is the perfect villa for those who like party in a bright and cheery atmosphere. 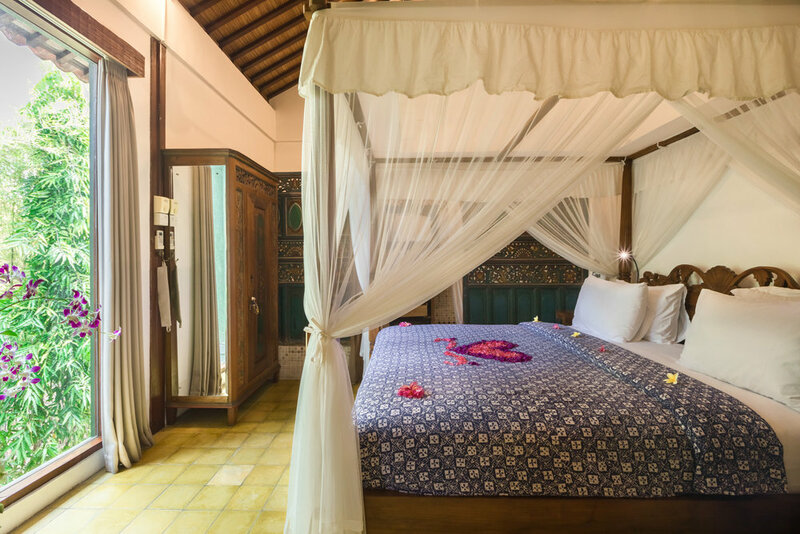 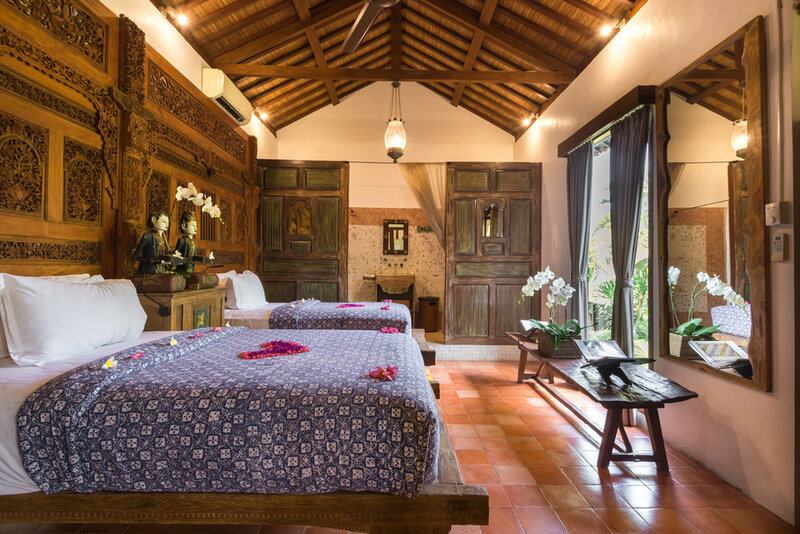 This spacious and fully air-conditioned villa has a romantic four poster bed, and a cozy second bedroom with two single beds. 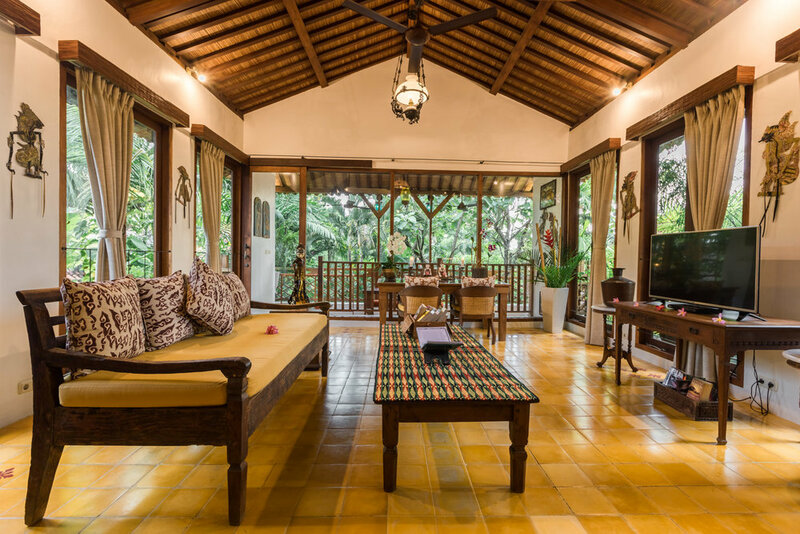 This villa is traditional with just enough modernity to show you the difference. 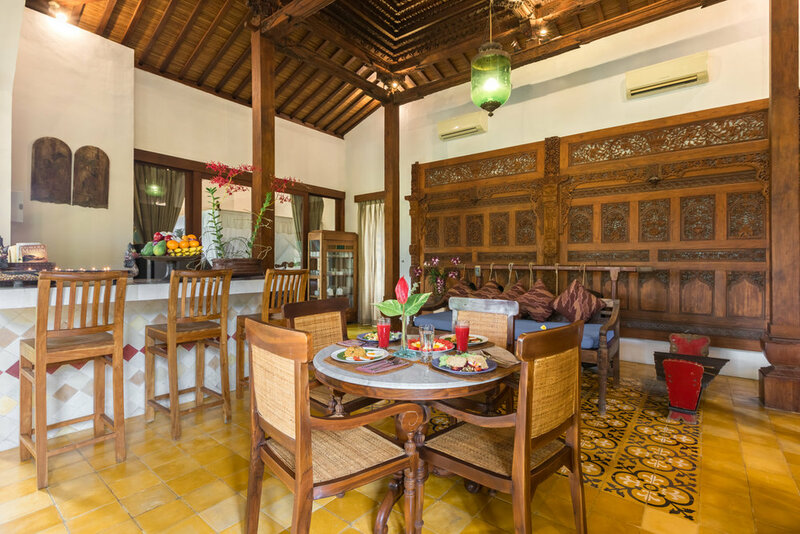 Kudus beautifully hand carved teak is located on the second floor, and offers a beautiful view of the entire property.